Other People’s Thoughts is a section of the China Heritage site featured in our Journal. It is inspired by a compilation of quotations made by Simon Leys (Pierre Ryckmans), one of our Ancestors. Pierre remarked that the modest volume of quotations recorded over his reading life was ‘idiosyncratically complied for the amusement of idle readers’ (see Simon Leys, Other People’s Thoughts, 2007). 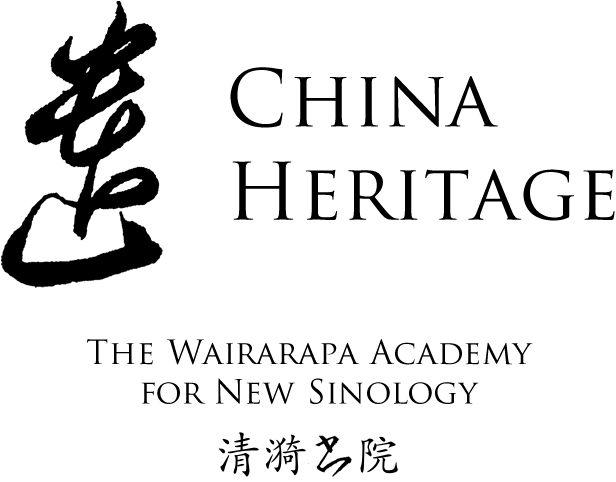 Our aim is similar: to amuse our readers (idle or otherwise), as is our modus operandi: to build up an idiosyncratic compendium, one that reflects the interests of The Wairarapa Academy for New Sinology and its coterie. In collecting this material, and by adding to it over time (this is the fifth instalment in the series), we accord also with a Chinese literary practice in which quotations — sometimes called yǔlù 語錄, literally ‘recorded sayings’ — have a particular history, and a powerful resonance. 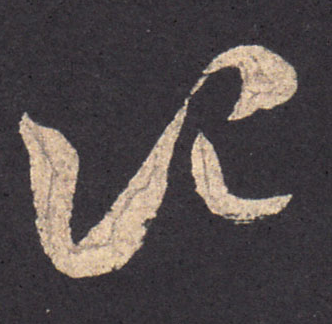 The character ‘record’ 記 in the hand of Mi Fei 米芾, or ‘Madman Mi’ 米癲 of the Song. Source: 好事家貼. The most famous collection of recorded sayings is The Analects 論語, compiled by disciples of Confucius. Then there is the timeless 5000-words of Laozi’s The Tao and the Power 道德經, as well as the Chan/Zen 禪宗 tradition of what in English are known by the Japanese term kōan 公案 — anecdotes or statements aimed at goading an individual towards enlightenment — that date from the Tang dynasty. Modern imitations range from the political bon mots of Mao Zedong to excerpts from the prolix prose of Xi Jinping’s tireless speech writers, as well as published snippets from arm-chair philosophers and motivational speakers. Other People’s Thoughts also finds inspiration in the ‘poetry talks’ 詩話, ‘casual jottings’ 筆記 and ‘marginalia’ 眉批 of China’s literary tradition. For more Other People’s Thoughts see here. Pullman: My attitude to the church is twofold. Firstly it’s where I belong — I’m a cultural Christian. Secondly, I have learned to have a grave suspicion of all religious power wielded politically. The children of the Bolshevik millenarians never read Marx, Engels or Lenin at home, and, after the educational system was rebuilt around Pushkin, Soviet children stopped reading them in school, too. At home, the children of the Bolsheviks read what they called the “treasures of world literature,” with an emphasis on the Golden Ages analogous to their own (the Renaissance, Romanticism and the realist novel, especially Balzac, Dickens and Tolstoy). We in the west have been led to believe, particularly since the collapse of the Soviet Union in the late 1980s, that progress and freedom are each necessary for the other, that it is not possible to have one without the other. But what if progress and freedom are not necessarily joined? What if truth is the precarious hinge that holds freedom and progress together? China’s great advances are, after all, the proof that if all that matters to you is progress, you can have progress without freedom. But there will be a void, and in that void a great darkness will arise. That fell on Earth like Christmas snow when potus’s tweets could not be found? You know when you have tinnitus, and the ringing suddenly stops? Or when the volume of your next-door neighbor’s party finally drops? Or when a dog outside stops barking? Or a screaming baby falls asleep? Or a car alarm stops honking and you’re so glad you want to weep? Or an early-morning construction crew heeds your cease-and-desist letter? It was like all of that at once, my friends. Every one of us is now in the position of the indigenous Americans when the Europeans arrived with guns and smallpox: our world is poised to change vastly, unpredictably, and mostly for the worse. I don’t have any hope that we can stop the change from coming. My only hope is that we can accept the reality in time to prepare for it humanely, and my only faith is that facing it honestly, however painful this may be, is better than denying it. Flanagan: Kif discovers the only way to become a writer is by writing. Interviewer: Would that be your advice?